GNSS & Network Solutions | Topcon Positioning Systems, Inc. This history brings complex systems into simple focus for your company's success. 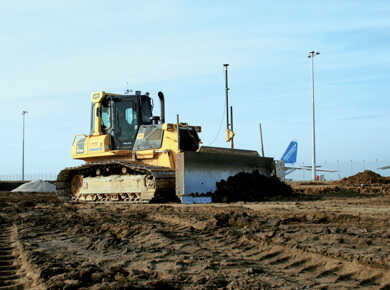 Topcon GNSS solutions are purpose built to provide productivity 24/7. Not only do our GNSS products deliver the best solutions today, we design our equipment to be repeatedly reliable with your work in mind. Finish your projects faster with confident results. That's the Topcon promise. 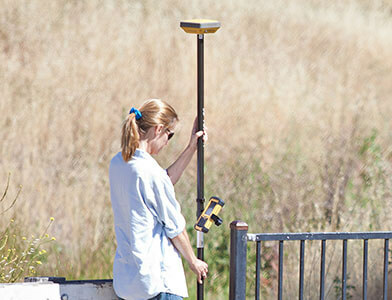 Topcon GNSS products and solutions are both sophisticated and simple. You get constant performance, rugged receiver readiness, and modern software solutions that graphically guide your everyday workflow. Discover just how easy it is to get your work done faster, easier, and with the best results. The Topcon's GNSS network products combine ultra quiet and futuristic antennas that isolate and clean any signal from any constellation above. These small and effective antennas combined with multi-purpose reference station GNSS receivers give you all that you need for a network solution 24/7, 365 days of the year. All Topcon integrated GPS receivers offer advanced multi-constellation Vanguard technology, Universal Tracking, rugged construction for all-weather performance and patented fence antennas to ensure accuracy and long battery life. for all-weather performance, and long battery life. Topcon dual-constellation, dual frequency GNSS antennas offer high precision antennas with integrated ground plane to provide excellent tracking sensitivity and multipath rejection in a compact and ultra-rugged design. for antennas, ASIC chips, algorithms and more to deliver the most accurate and robust solution available.